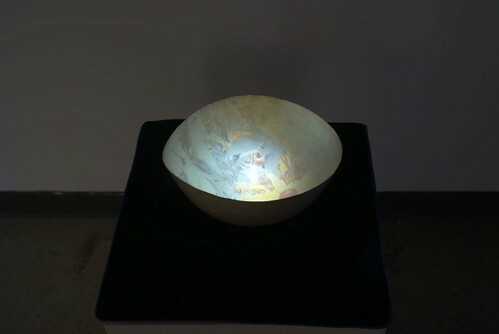 Rob Cruickshank – ultraviolet video; Anne Barros- silver bowl. Live ultraviolet video of specific flowering plants in the garden are projected separately in the gallery using an adapted video camera which has been modified and fitted with a UV filter. The camera is located in the garden, just outside the gallery. This camera has a UV and a visible video camera, plus a video switcher in a weather proof enclosure. This camera reveals petal markings visible only in ultraviolet light which are known to function as pollen guides for bees and other pollinating insects (markings invisible to the human eye, but visible to bees and other insects). 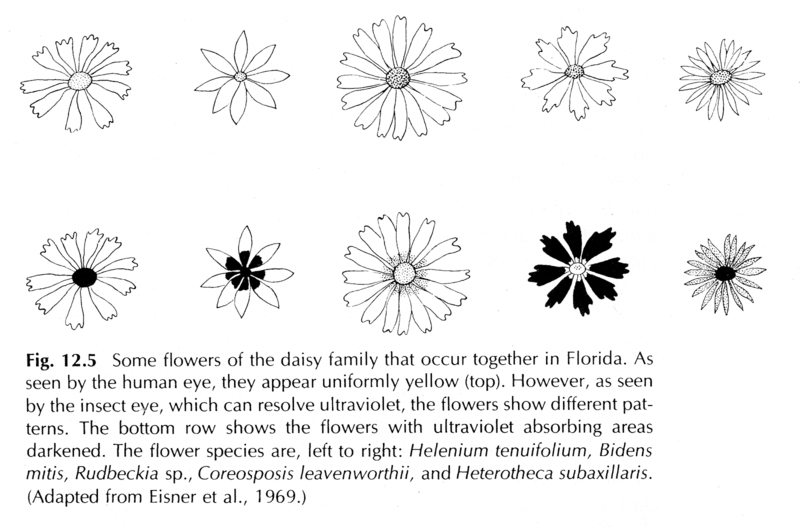 A patch of rudbekia hirta (black-eyed susans) as seen in UV alternate with the flowers as seen in visible light in a silver bowl. UV stuff, including camera photo on flickr.